Passport (#50) of Sonia Komsky. 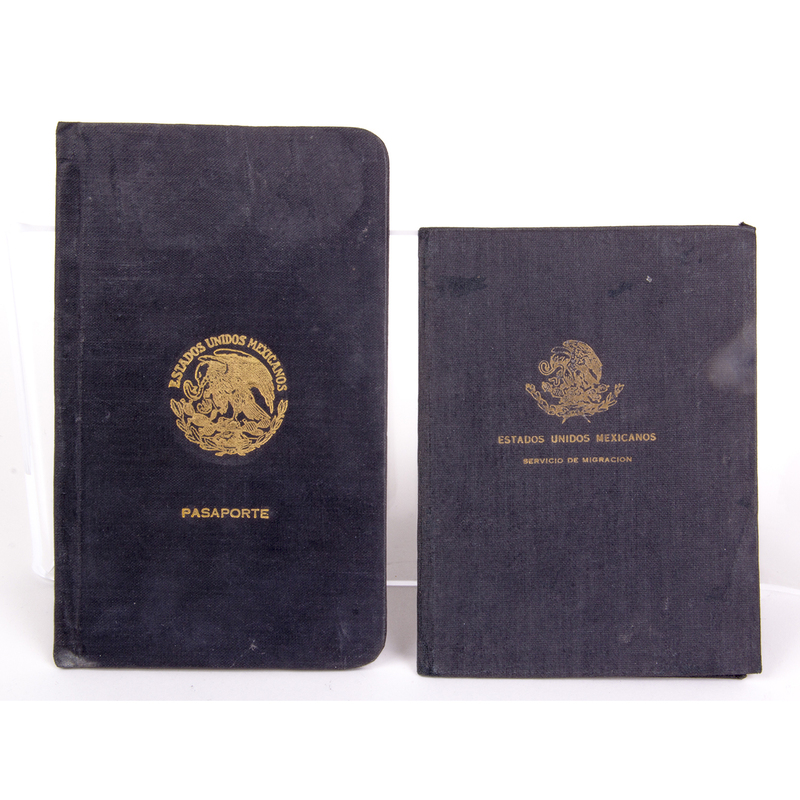 Cover is black cloth with seal of the state of Mexico stamped in gold. Immigration document (#1609) of Sonia Komsky. Printed form with spaces filled in with typewritten particulars and having two photographs attached. Form is mounted in a folding holder covered in black cloth with seal of the state of Mexico stamped in gold. Dimensions: 6 11/16 in.x 4 1/8 in.